Cousineau's wanderlust has driven him to visit nearly 100 countries as a backpacker, documentary filmmaker, travel writer, photographer, and art and literary tour leader. For him, travel gives us what his mentor Joseph Campbell called "the key to the realm of the muses." As author of the best-selling travel book The Art of Pilgrimage, Cousineau continues to crisscross the world as a travel writer, filmmaker, and host of Global Spirit. 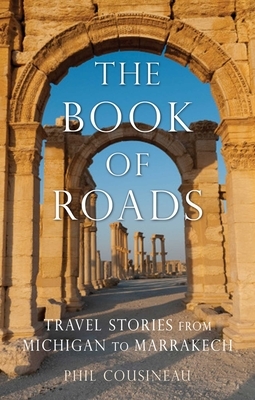 The Book of Roads: Travel Stories from Michigan to Marrakech is the culmination of a lifetime of travel experiences, from the steel factories of Detroit to headhunting villages in the Philippines, the war-torn villages in the Balkans to the river roads of Canada once traversed by his voyageur ancestors. His rhapsodic travel stories place him in the league of fellow travelers who are also masterful writers, such as Pico Iyer, Jack Kerouac, Jan Morris, and Beryl Markham. Phil Cousineau is a bestselling author, editor, photographer, award-winning documentary filmmaker, adventure travel leader, and independant scholar who lectures around the world on a wide range of topics from mythology, mentorship, and soul. His books include The Art of Pilgrimage, Soul Moments, Riddle Me This, and The Soul Aflame. A protege of the late Joseph Campbell, Cousineau is also the author of The Hero's Journey: Joseph Campbell on His Life and Work. He lives in San Francisco, California.